Bhikshadana Murthi is a form of Lord Shiva as the "Supreme Mendicant" or the "Supreme Beggar". The image has Kerala-Venad style. 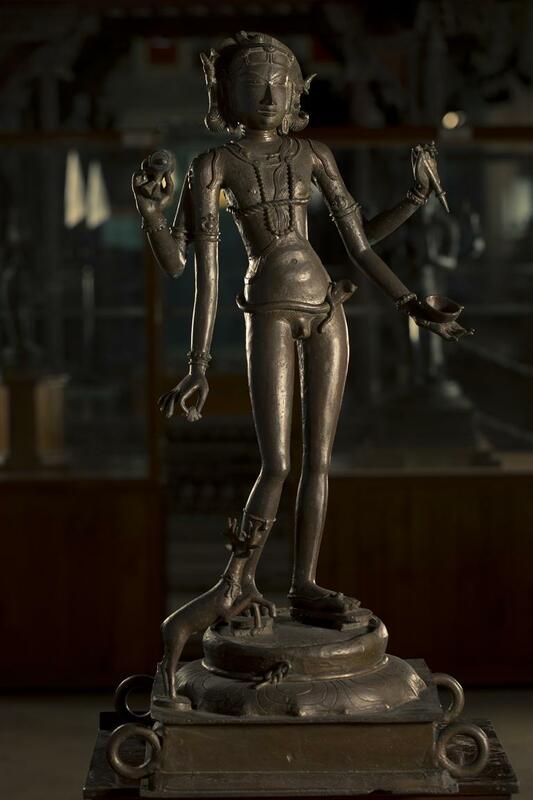 It is four-handed and the upper hand holds a Damaru and a stick while the lower hand has a bowl and is in a posture of feeding the deer at the bottom. The deer is portrayed as looking him anxiously.